"The reality is that the challenges and opportunities faced students in this century are unlike those of any previous generation, and that all students today require specific knowledge and skills in education and career/life planning to support them in making sound choices throughout their lives." Manchester International School students have established a tradition of posting excellent exam scores in Cambridge AS and A Levels. Our Cambridge AS and A Levels students go on to attend some of the most prestigious universities in the world after professional research, guidance and counseling of the University placement team. Manchester International School has a strong mind focus to guide students in getting admissions in the best possible institutions. This enables the students to build their future very strong. 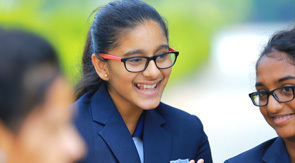 The success of Manchester International School is directly linked with the success of each and every student studying here. Through innovative partnerships with leading universities, we have extended and provided services to the students for their higher education which is ensuring success and transforming their lives. We wish to continue the same in the future, and are joining hands with leading universities around the globe. Manchester International School welcomes partnerships between foreign universities and welcomes university visitors from different countries as a part of its student admission counseling program. "When students are empowered to design and plan their own lives, they are engaged, they achieve, and they find themselves applying their learning in their daily lives. In an environment that encourages such learning, students develop confidence in knowing that their school programs are created with them in mind, that the world beyond school has something to offer them, and that they have something to offer the world"